Kari Warberg Block, founder of EarthKind® and Stay Away®, the first pest prevention line made entirely out of plant-based ingredients, offers eco-friendly solutions to keep your home pest free this fall. 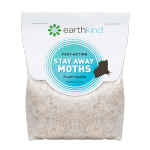 Additional Seasonal Pest Facts by EarthKind®. 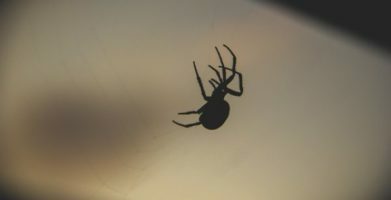 Fall is mating season for spiders, but this year experts predict a spike in spider populations in areas that have received more rainfall from recent storms according to The National Pest Management Association’s bi-annual Bug Barometer™. 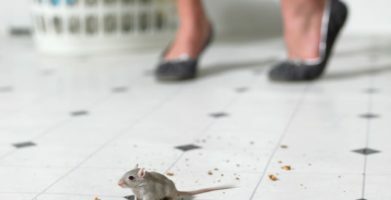 It is also predicted that summer-like weather during September and October will contribute to higher rodent activity in the fall season, since warmer weather allows rodents to produce healthier litters than in colder months. 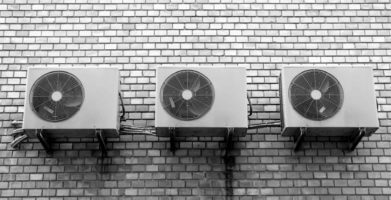 As the climate continues to change, so will pest habits. Kari Warberg Block, pest prevention expert, offers five simple and effective eco-friendly tips to avoid a pest invasion this season. Seal up all holes in foundation and entryways. Changes in temperature can quickly create cracks in the foundation of a home that homeowners are unaware of. Mice can enter through openings the size of a dime that are often overlooked including gaps between building materials, utility and HVAC lines, door and window frames and roof vents using their amazing ability to climb. Spiders put a lot of effort into weaving their silky webs, so they don’t like it when you disturb them. They also don’t like the high-pitched vibration of a vacuum. Use a vacuum hose to clear out spider webs and creepy crawlers will be on their way to a more peaceful home. Use a spray made of half a cup of water, half a cup of vinegar, two tablespoons of liquid dish soap and 20 drops of thyme oil. The scented mixture has been used to prevent spiders from attaching their silk to sprayed surfaces. Use a plant-based repellent to keep pests out of your home. Protecting your home from an invasion this fall doesn’t have to mean exposing you or your loved ones to dangerous poisons, traps or nasty clean up. 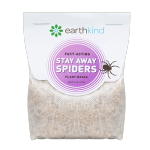 Stay Away® by EarthKind® is the first pest prevention line made entirely out of plant-based ingredients including essential oils and plant fibers. Both Stay Away® Mice and Stay Away® Spiders are a perfect solution to seasonal pests, offering a humane and effective approach to keeping pests from moving in. Media interested in setting up an interview with Kari Warberg Block to learn more about her all natural pest prevention techniques, please contact Danielle Schufreider at danielle(at)adinnyc.com or 212.693.2150 x314. Fall is mating season for spiders, but this year experts predict a spike in spider populations in areas that have received more rainfall from recent storms according to The National Pest Management Association's bi-annual Bug Barometer™. It is also predicted that summer-like weather during September and October will contribute to higher rodent activity in the fall season, since warmer weather allows rodents to produce healthier litters than in colder months. As the climate continues to change, so will pest habits. Kari Warberg Block, pest prevention expert, offers five simple and effective eco-friendly tips to avoid a pest invasion this season. Use a plant-based repellent to keep pests out of your home. Protecting your home from an invasion this fall doesn’t have to mean exposing you or your loved ones to dangerous poisons, traps or nasty clean up. 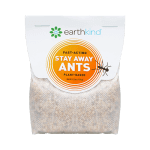 Stay Away® by EarthKind® is the first pest prevention line made entirely out of plant-based ingredients including essential oils and plant fibers. Both Stay Away® Mice and Stay Away® Spiders are a perfect solution to seasonal pests, offering a humane and effective approach to keeping pests from moving in. string(127) "Predictions for Increased Pest Invasions This Fall Prompts Pest Prevention Expert to Issue Five Top Tips for Keeping Pests Away"